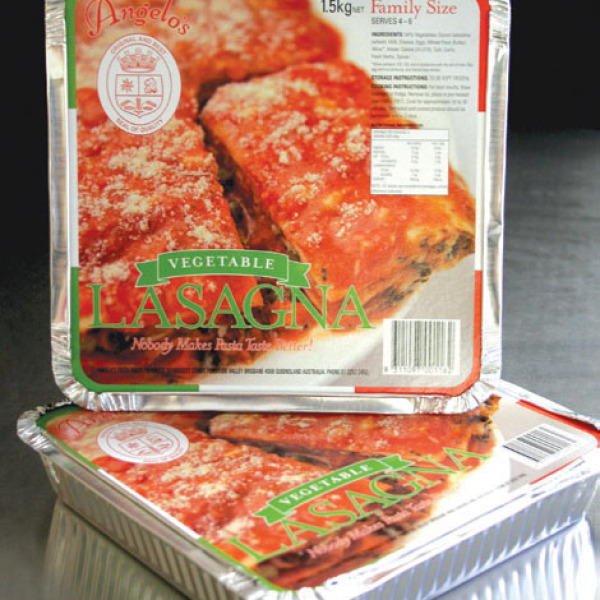 Vegetable Lasagna has been adapted from the traditional Beef Lasagna. 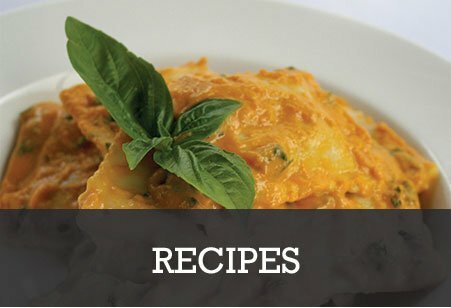 We use sheets of pasta layered with a Napoletana (tomato sauce) and Bechamel sauce, Vegetables including Spinach, Peas, Carrots, Broccoli, Zucchini then sprinkled with freshly grated parmesan. 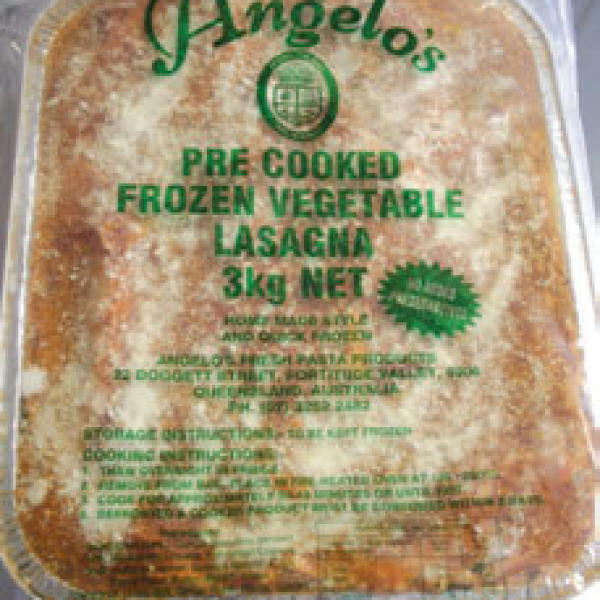 Place lasagna in the refridgerator the day before use to thaw overnight, then follow cooking instructions on packaging.